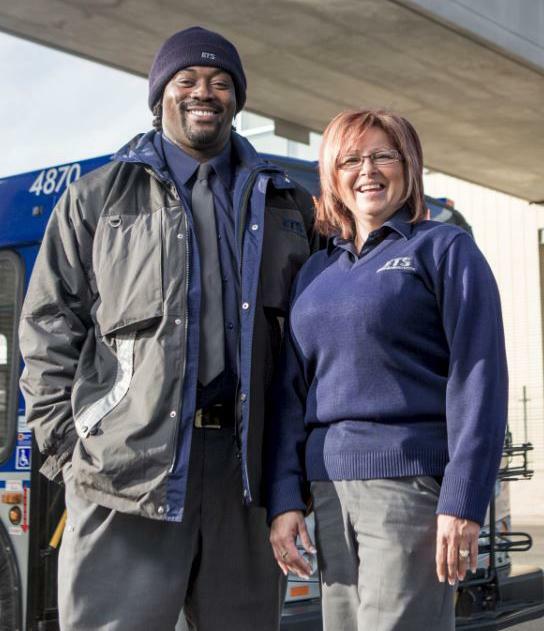 Today is Transit Operator Appreciation Day across North America. On this important day, the City recognizes and thanks all of the hard-working transit operators who keep Edmonton’s transit system moving safely and efficiently. Whether you commute on the bus or LRT, say 'thank you' today. It goes a long way. Transit operators connect Edmontonians to the places, services and people they care about across the city. They form the human backbone of the transit network and are on the front line of customer service, interaction and safety 365 days a year. Transit operators are passionate about their jobs and often go above and beyond to help Edmontonians every day. ETS is excited to release a new video that highlights the important job of transit operators and how a respectful workplace contributes to everyone’s safety. This video captures the passion, spirit and dedication transit operators bring to the job each day. Transit Operator Appreciation Day is an annual event recognizing the hard work and public service of transit operators. March 18 is the day of celebration chosen to commemorate the launch of what is regarded as the world’s first modern public transportation system, the carrosses à cinq sols in Paris in 1662.